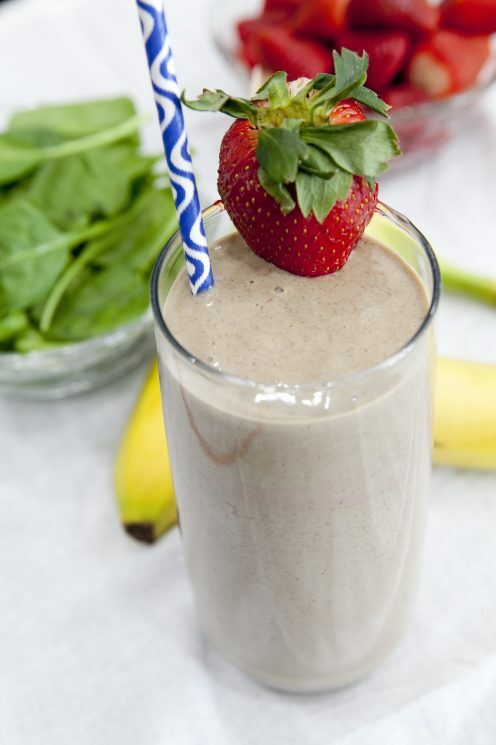 This healthy and satisfying Strawberry Banana Flax Smoothie recipe will keep you going throughout your day with yogurt, fruit, flaxseed, and spinach. Do you have just 5 minutes to spare for a quick and healthy breakfast? This recipe will have you in and out of the kitchen in no time so you don’t skip the most important meal of the day. We love adding more than just fruit to our smoothies so that it will keep our kids (and us!) full until lunch. 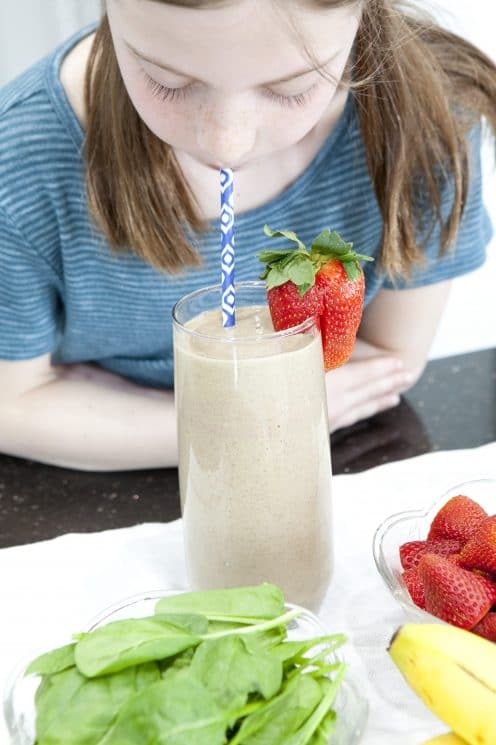 If you love smoothies, check out more of our delicious kid friendly smoothies! Combine all the ingredients in the blender. I have a high powered blender so I was able to put all of it at once but if your blender can’t handle it, you may have to add a small amounts at a time along with some liquid to help it blend. Water works great, but you can also add some Almond milk to give it a healthy fun flavor. Whatever liquid you use try to keep it as thick as possible. I prefer to add frozen berries to mine because it makes the smoothies thick and cold without losing any of the flavor. You can use fresh berries too, just add some ice to the mix. 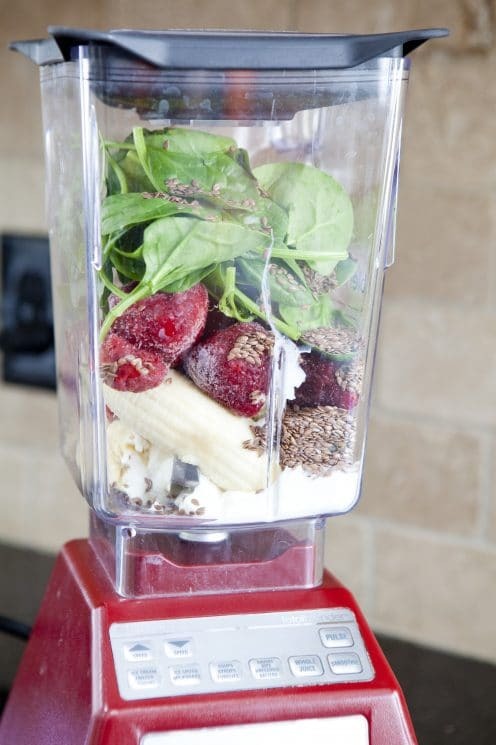 Your family will hear the blender going and hurry into the kitchen to see what smoothie you are making. 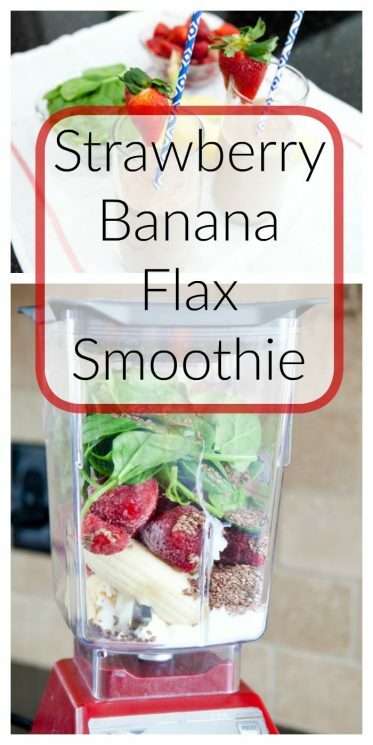 This smoothie has the perfect blend of sweet fruity flavors along with the added healthy kick of flaxseed and spinach. It’s a great way to pack fruit into your diet and feel fuller longer. 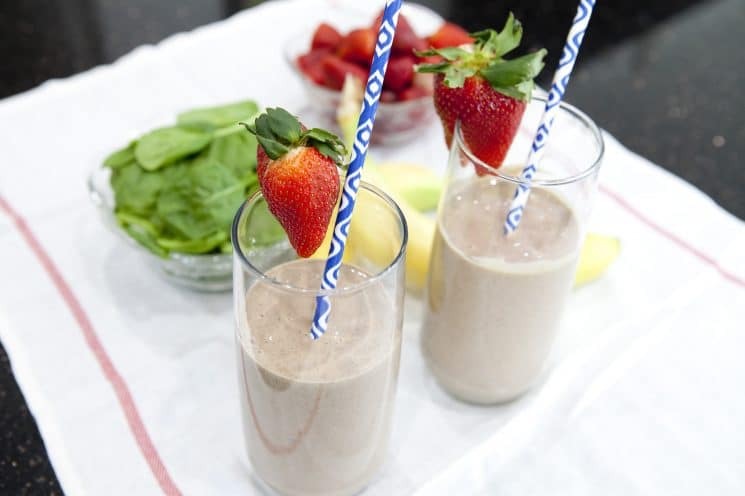 Everyone in your family will love this smoothie and it’s one I’ll definitely be making often. It’s a great breakfast to send with your loved ones especially if your family is as busy as mine. 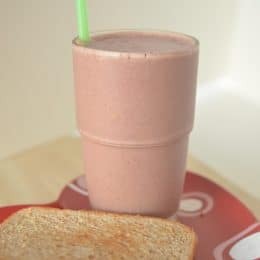 It’s also a great after school snack to take the place of the typical salty or sweet snacks that kids usually go for. Try it, chances are you’ll absolutely love this one as much as I did. Toast bread, then spread with peanut butter.